Following the completion of our project and have all the processional images of our Cofradía exposed to public worship after the enthronement of Nuestro Padre Jesús de la Misericordia in the Conventual Church of San Marcos, and living as we live the Holy Year of Mercy, our Cofradía create this “way” through the streets of our capital so that all those who wish to learn more about the heritage of us. Through this way, pilgrims who so wish can get -within the provisions of Misericordiae Bultus bula- the indulgence of this Holy Year of Mercy in two of the four key points of this path for our city. The ancient city of Leon is the unique setting of this route , from the chapel of Nuestro Señor Jesús de la Redención, through the Church of San Martin to reach the Cathedral and the Basilica of San Isidoro , these two points, Holy Doors Mercy , reaching the end the Conventual Church of San Marcos, where the chapels of Nuestro Padre Jesús de la Misericordia and Nuestra Madre de la Divina Gracia are . This “Way of Redemption and Mercy” converge along the Camino de Santiago, a journey of faith and spirituality, to which we add the redemption of our Titular and Mercy of Our Father, being the fourth “stage” of this path, the direction output our city the Way of Santiago. The origin of the monastery dates back to San Pelayo de León , founded after its destruction by Almanzor in the eleventh century . Since its inception , it was a Benedictine monastery under the protection of the Kings of Leon. A leonine king , Alfonso VII , decided in 1148 to transfer the town of Carbajal de la Legua, in the present municipality of Sariegos , substituting in place the Augustinian Canons . 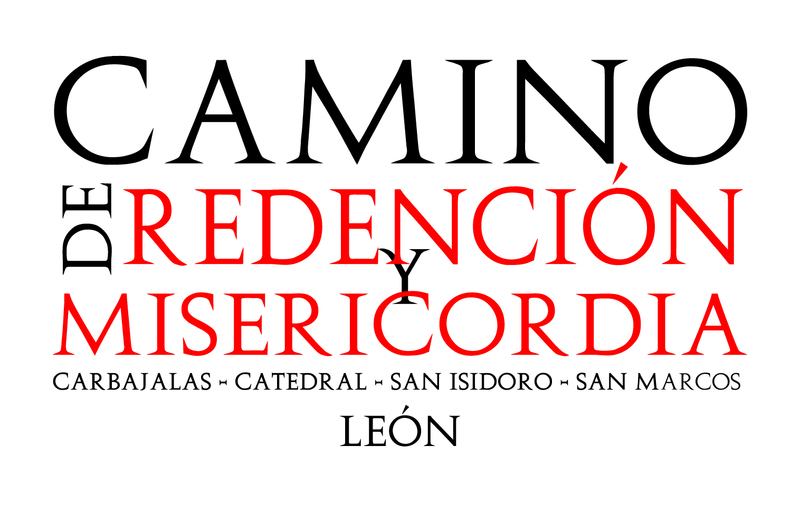 In Carbajal de la Legua maintained their work until, in 1600, returned to the city of Leon where they are today . 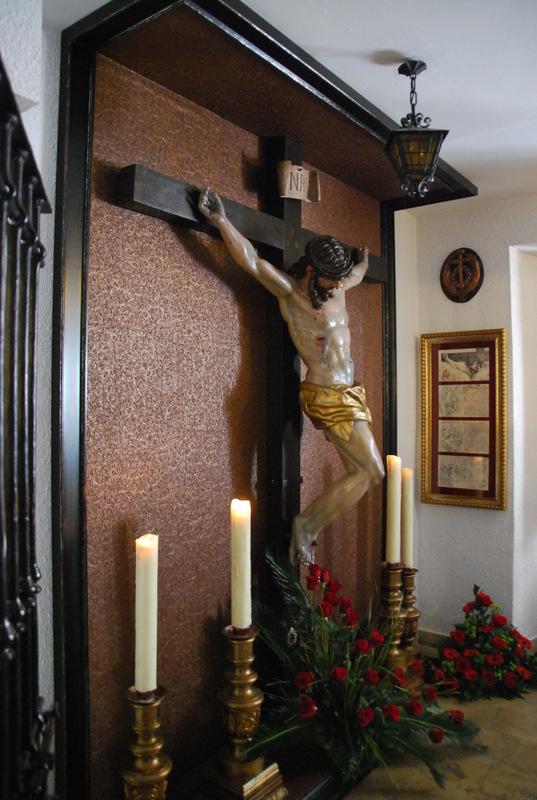 In the convent, there is a hostel and guesthouse for pilgrims where credentials Camino de Santiago and the Camino de Santiago del Salvador (León – Oviedo) are issued . 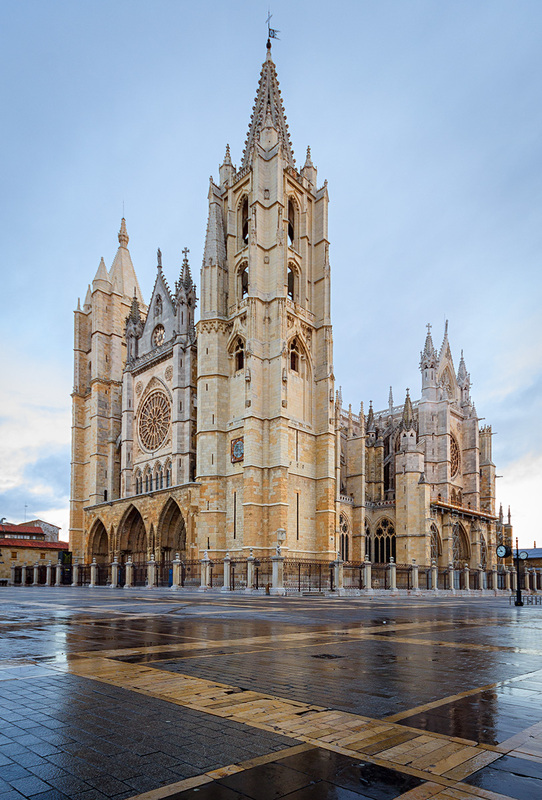 Leon Cathedral is a temple of Catholic worship , episcopal seat of the diocese of Leon, Spain , consecrated under the invocation of Santa Maria de Regla . It was the first declared in Spain by Royal Order of August 28, 1844 (confirmed by Royal Order of September 24, 1845 ) monument. It began in the thirteenth century, it is one of the great works of Gothic style of French influence. Nicknamed Pulchra leonine , which means ‘ beautiful Leonesa ‘ . Inside there is one of the largest collections of medieval stained glass in the world. The Basilica of San Isidoro de León is a church in León, Spain, located on the site of an ancient Roman temple. Its Christian roots can be traced back to the early 10th century when a monastery for Saint John the Baptist was erected on the grounds. In 1063 the basilica was rededicated to Saint Isidore of Seville. Isidore was archbishop of Seville, and the most celebrated academic and theologian of Visigothic Spain in the period preceding the Arab invasions. With the agreement of Abbad II al-Mu’tadid, the Muslim ruler of Seville, Isidore’s relics were brought to Leon where they could be interred on Christian soil. The tomb of the saint still draws many visitors today. An equestrian statue of Saint Isidore dressed as Santiago Matamoros is visible, along with many other sculptures, high on the facade. 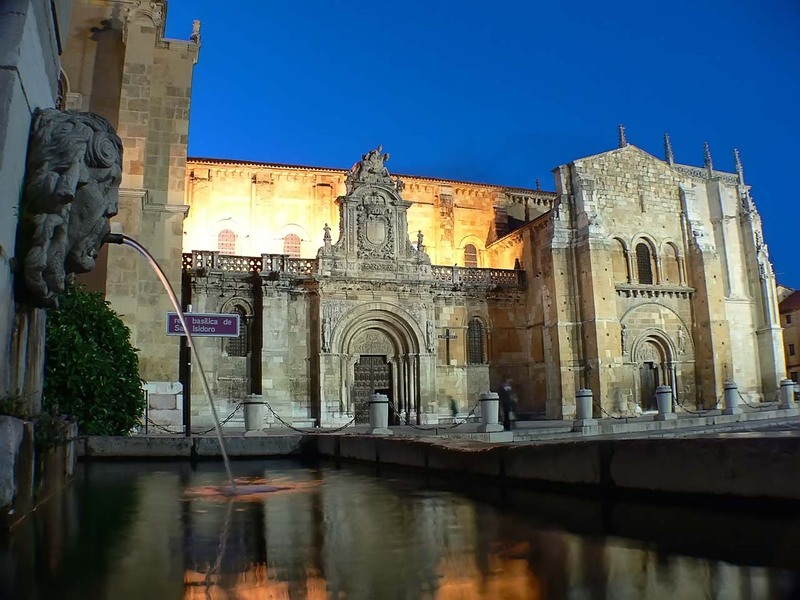 The Convento de San Marcos was a convent in León, Spain is today an operating luxury parador hotel. It also contains a consecrated church and museum, and is one of the most important monuments of the Renaissance in Spain. It is one of the greatest architectural jewels of León, together with the Cathedral, the Basilica of San Isidoro and la Casa Botines. It has a highly ornamental plateresque facade. The darkest period in the monastery of San Marcos’s five centuries of history is concentrated in just four years. During the course of the Spanish Civil War cells, rooms, stables, cloisters, church, choir, museum and every fast corner of the building were transformed into impromptu dungeons or jailers’ offices. Between July 1936 and the end of 1940, up to 7,000 men and 300 women were imprisoned at the same time. It is estimated that, over the entire war and the period immediately following, the number of Republican militia members and political prisoners that passed through its cells totaled some 20,000. In the province of Leon, around 3,000 deaths are recorded due to the repression, and a good number of these came from the dungeons of San Marcos. The origins of this building lie in the twelfth century, in the days of Alfonso VII of León. His sister, the Infanta Sancha of Castile, made a donation in July 1152 to construct a modest building on the outskirts of the walled city, on the banks of the Bernesga river, where “the poor of Christ” could stay. This would be a hospital-temple of shelter for pilgrims travelling the Camino de Santiago. Also, the building was the main residence for the Order of Santiago in the Kingdom of León. In 1176, Pedro Fernandez de Castro, the first maestre of the Order of Santiago was elected as the first prior, and in 1184 he was buried in his church. 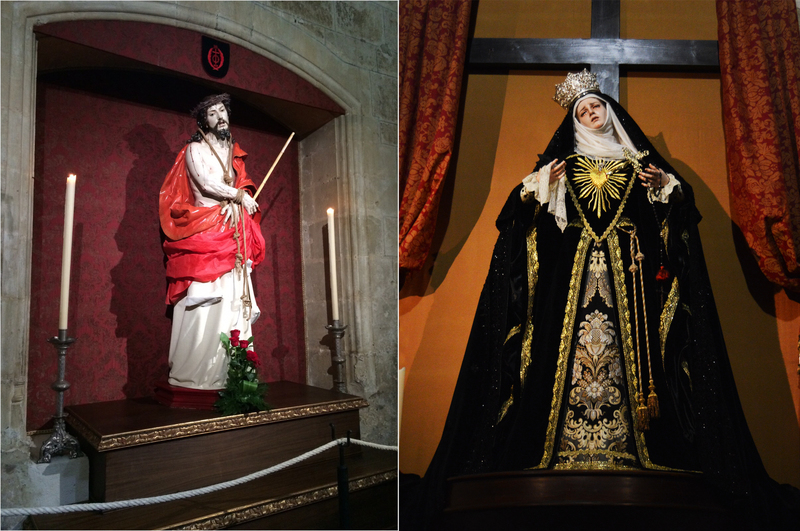 In his Conventual Church, in their respective chapels , they are exposed to public worship the images of Nuestro Padre Jesús de la Misericordia and Nuestra Madre de la Divina Gracia.